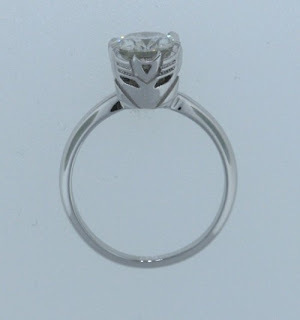 What more could I possibly say about this Decepticon logo wedding ring!?! 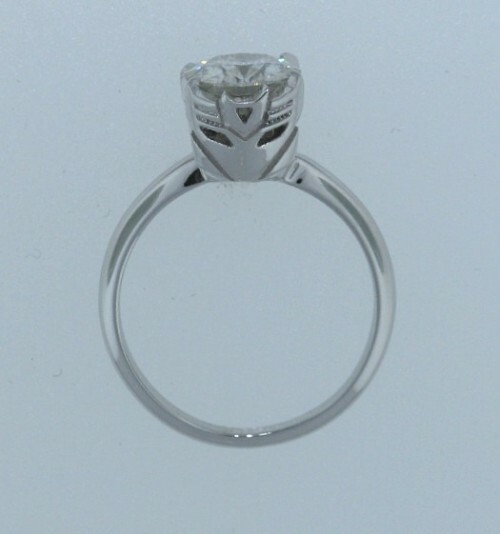 You can clearly see that it's awesome, badass and totally cool. That is all. Just thought I'd share. The Dog Ate My Wedding Ring! I hate to laugh, but this is a pretty funny story. A couple in New Mexico had some, er... trouble getting their wedding ring back from their basset hound! You've heard the line about the dog eating your homework, but this one takes it to a whole new level. You can watch the video of the news report and hear the story first hand here. "Rachelle Atkinson has a habit of leaving her wedding ring on her night stand and in the morning, she puts it back on - that was until a few weeks ago. "I went to go put it on and it was nowhere to be found," she said. Rachelle and her husband Scott searched everywhere but eventually started to suspect a thief, their 10-month old basset hound, Coraline." The ring never "came out" on its own, so eventually the couple had to bring their dog to the vet. Everything turned out fine in the end though. The vet said that basset hounds often eat rocks for various reasons, which means that Coraline has VERY expensive taste! So it seems like all the ladies (and plenty of guys) are on Pinterest these days. It's the new hotness. Aside from great recipes, dream houses and crafty decorating tricks, it's also a great way to plan your wedding! Mashable tech writer Samantha Murphy came up with a quick 7 step checklist for any bride-to-be that also has a Pinterest account. The two-year-old social bookmarking site — which allows users to collect and share things they like on the Internet — is becoming a hotbed for the wedding industry. Not only are Pinterest users adding images to their virtual pinboards for inspiration to help plan their big day, but some are collecting ideas for the future and aren’t even engaged. Either way, Pinterest is an easy way to make planning a wedding more manageable. It’s like ripping the pages out of wedding magazines and taping them to your bulletin board — but digitally. Even better, each picture is typically linked to a site where you can buy the styles you want, learn DIY crafting tips and become informed about the latest trends. Friends and other Pinterest followers can also leave comments and feedback to make the whole planning process more interactive. Check out the tips on Mashable here.